We are leading roofing contractors in the industry when it comes to shingle roofs, whether it’s replacing, repairing or installing them all types of properties. We are one of the top in the field because we have many years of experience and are highly skilled at what we do, and we only use time-tested materials from the largest shingle manufacturers in the nation, so you know you are getting the best for your home. We know how important protecting your home is, which is why it is vital to us to win your business with our professionalism and ability. We can get the job done correctly the first time, and we want to prove it to you. We offer competitive rates and the best service you will find anywhere; we pride ourselves in it. Give us a shot, let us prove it, and find out for yourself. We offer asphalt roof shingles in over a dozen colors to match the exact look you want for your home, whether you are going for modern and sleek, rustic and quaint, or classic and conventional. We can help you match up the right system that will align with your roof to bring the entire look of your home together. Contact us to find out which of our roof types is right for you. Residential shingle roofs are one of our most versatile and popular areas of expertise. We have had many customers over the years who were looking to bring their home to the next level, and have found what they were looking for with a new cedar shake or asphalt shingle roof. We can match the dream look of your home with one of the many colors in our palette to really make your home stand out as one-of-a-kind. This collection offers a unique blend of artistry and craftsmanship that will benefit any home. There are even shingles available that are energy star rated for maximum energy efficiency. If you are interested in a greener home, or using less energy, try one of the lighter shades of shingle roofs that is guaranteed to lower your energy bills due to the ability of the asphalt shingles to reflect a majority of the sun’s heat. We are able to handle shingle roof repair, so if you are experiencing a leaky roof, or storm damage, give us a call. It is important to handle any needed repairs sooner rather than later as if water gets into your home it can cause serious damage, and our roofers are here to help you prevent that and help you nip it in the bud. If the damage has gone on for too long, or is rather serious and you need a roof replacement, we can handle it efficiently. If you are looking to install a shingle roof on a new home, we can help you out. We are here to answer any and all of your questions to make sure that you have all the information you need and are aware of all of your options. We will take you through the entire process when looking at shingle roofs, and make sure you are getting the best deal for your dollar. 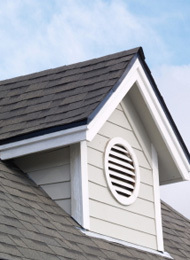 We repair, replace and install shingle roofs in Bentonville, Springdale, Fayetteville and surrounding cities.